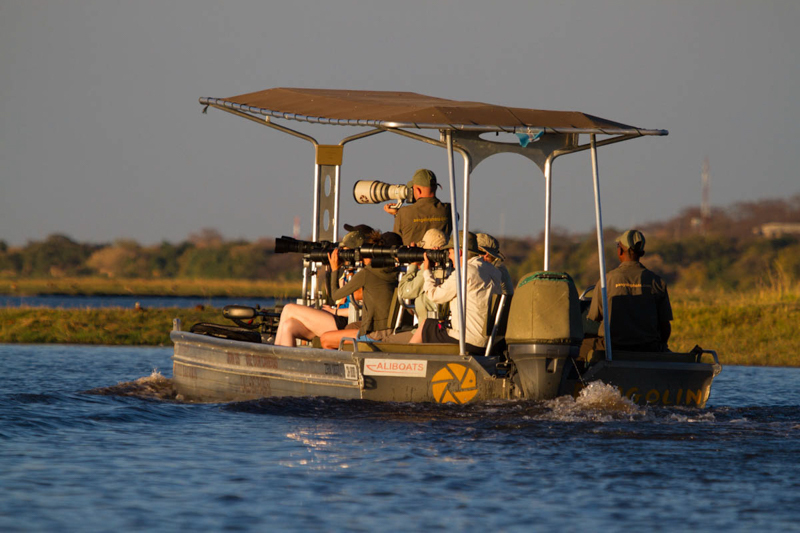 Let us take you on one of our unforgettable, photographic safaris on Botswana’s magical and game rich Chobe River. 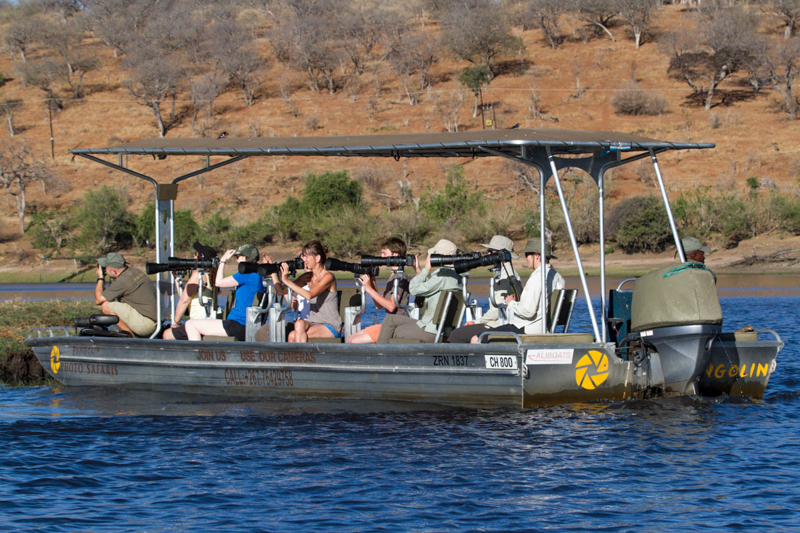 We use our state of the art custom boat which has been made photo-friendly, with fully rotating chairs and arms to mount your camera on for steady aim. Your trip will be a minimum of three hours in duration. 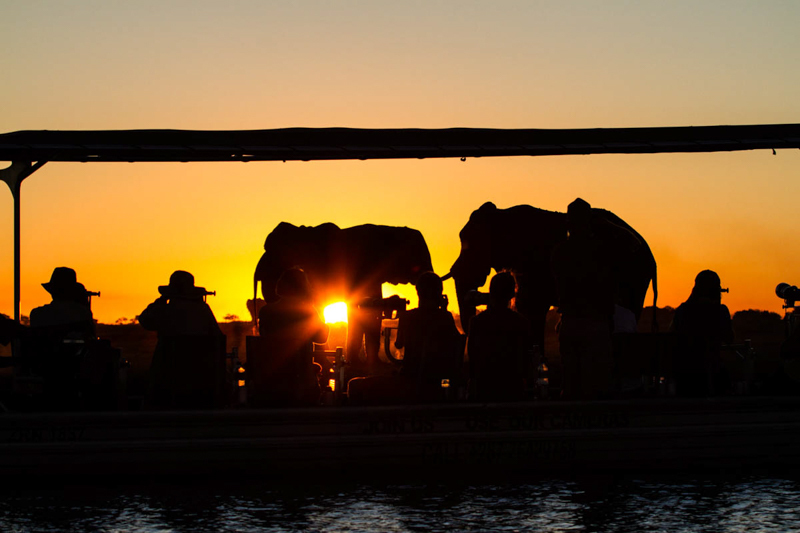 Each of our customized photo boats can take eight clients in individual photographic seats. Seat are equipped with a mounting for resting the Nikon D7000 and Sigma zoom lens that we provide you with for the trip. 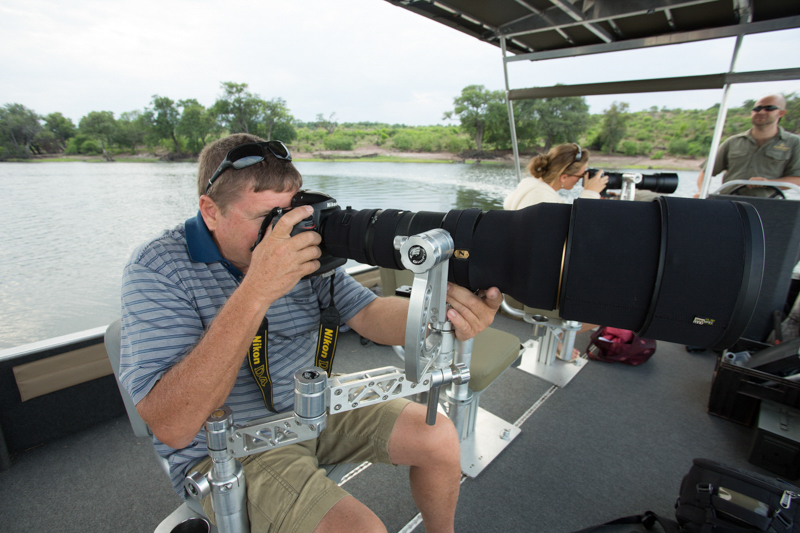 On the boat we use 150-500mm lenses. Departure times vary depending on the time of year. This is to allow for optimum lighting conditions. The morning cruise is usually an early one, departing at around 6am. The afternoon cruise departs at about 3pm and returns at sunset. Again, this is subject to change depending on the time of year but these times should serve as a rough guideline. 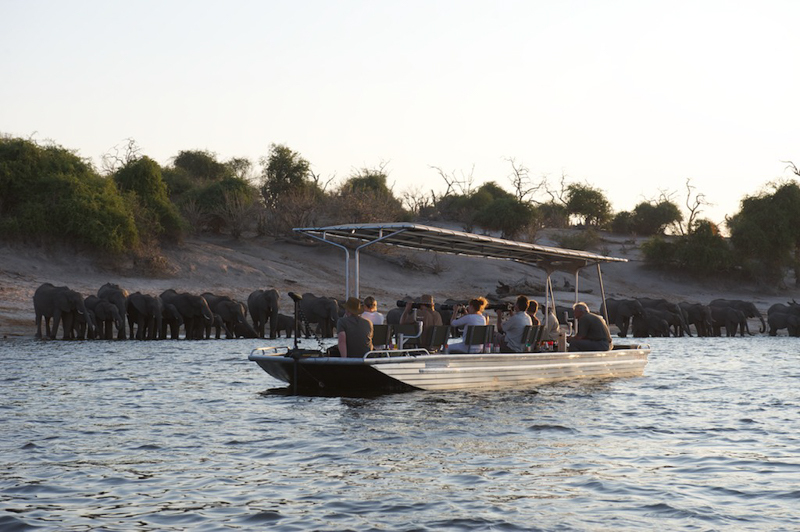 Our boats provide a unique vantage point from which to witness and capture Chobe’s magic. We are able to get into the perfect position every time- without fail. The hull is very stable to provide for your optimum security. There is plenty of room for all your equipment and, should you be bringing your own gear, rest assured that our boats are safeguarded to prevent water damage. If you choose to use your own camera on the cruise we will fit a base plate to the lens collar to mount it onto the seat arm. 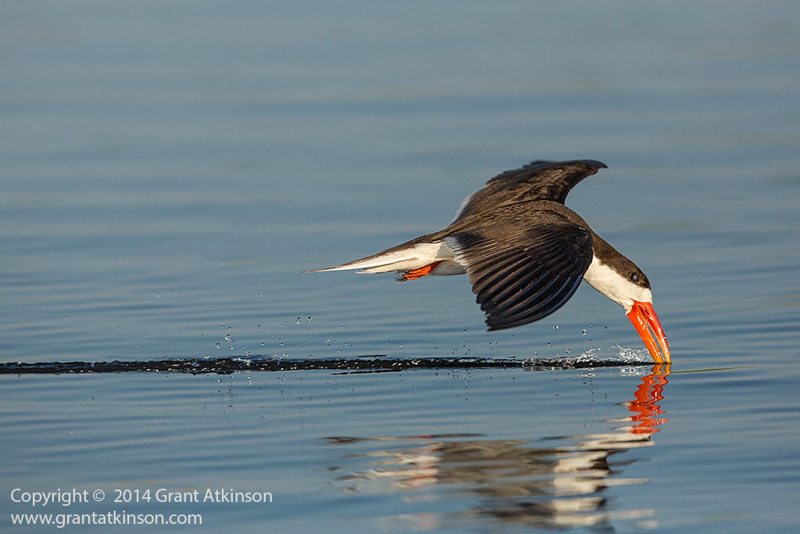 During your 3 hour cruise on the river, your photo guide will show you how the cameras work and will also advise you on how to frame your subject, and on anything else you might need to capture images that look like they are straight out of National Geographic. 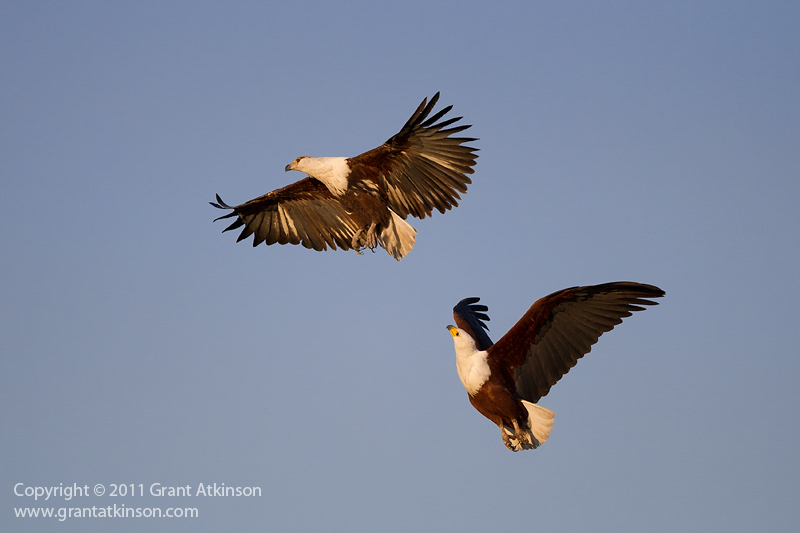 We take the liberty of setting the cameras up each day for you, to suit the conditions. 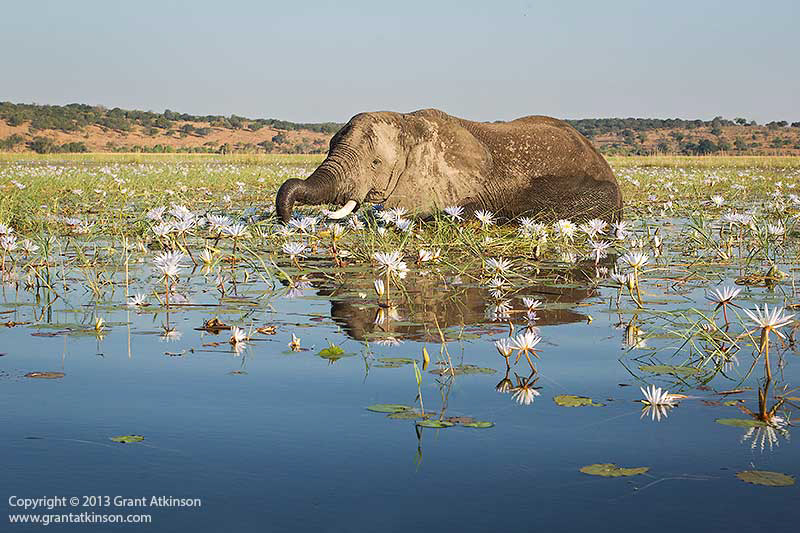 Bearing in mind that the Chobe is such a game rich environment and that the Nikon D7000 is such a fantastic and user-friendly camera, we’re sure that in no time you will be taking special images. Soft drinks, beers and wines will be offered on the afternoon cruise. 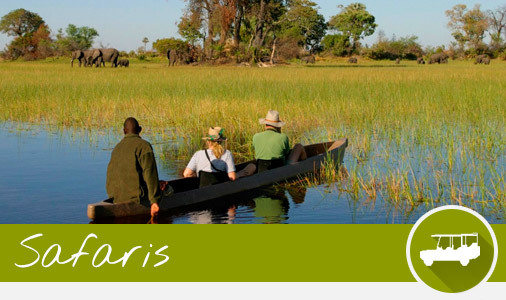 After the safari, we will give you the memory card from the camera containing all your images- the card is included in your rate.